We trust you’ve started the soon-to-be sweltering summer with refreshed spirits, thanks in part to yet another loosening of the water restrictions, but we urge you to not grow too complacent in your water-saving efforts. We may have won the battle this year, but drought is an unpredictable adversary, and we must be careful to not commit the same mistakes — or new ones — whereby we land ourselves back in panic mode by season’s end. That said, it’s a time to be merry on many accounts. One of which, is that schools can conveniently keep an eye on their water usage leading up to and during the holidays, on app.bridgiot.co.za. We encourage all schools to take advantage of this tool (if not already doing so) and create a free account for any vigilant staff member(s) to continue your water-wise ways. While learners are away, it’s a critical time to ensure that schools don’t haemorrhage vital water over the weeks when there is absolutely no need to. 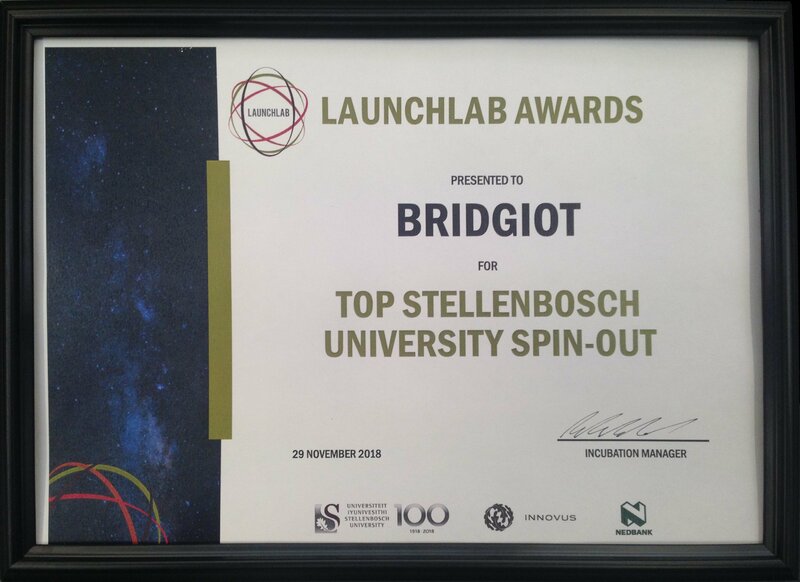 In closing, last month saw BridgIoT named Stellenbosch University’s top spin-out company of the year at the LaunchLab Awards. For that — and all the savings made this year — we owe a heartfelt thanks to you and our stalwart sponsors, who’ve fought the good fight alongside us. We also extend our gratitude to the numerous school children who’ve contributed so crucially to the project. Their willingness to learn about and practice water conservation as part of their young lives already, is a testament to us all as to where our focus should be. Wishing you a happy and responsible festive season!